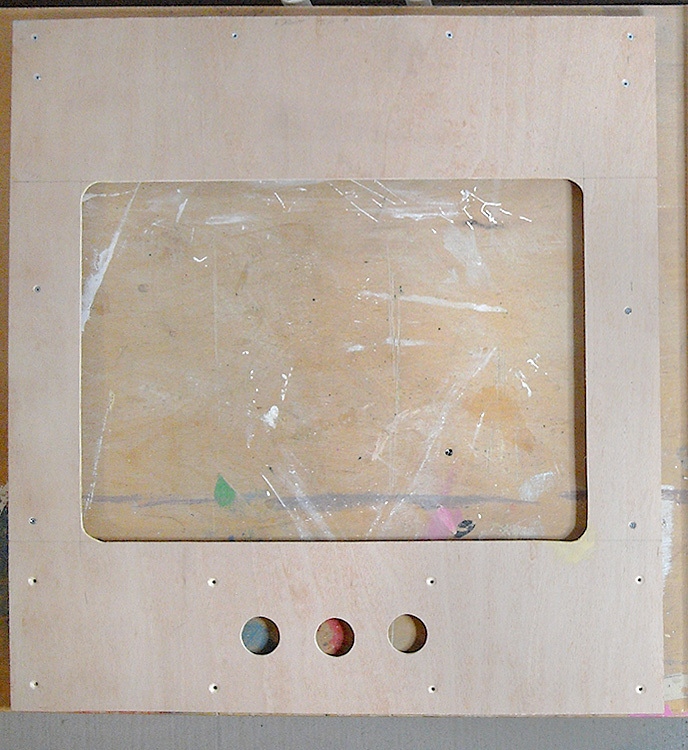 A flurry of early morning and late evening activity has produced the scenic boards and the ‘picture frame’ for Thomas and Sons. To be honest I was keen to get the job done so that I can start doing some modelling! 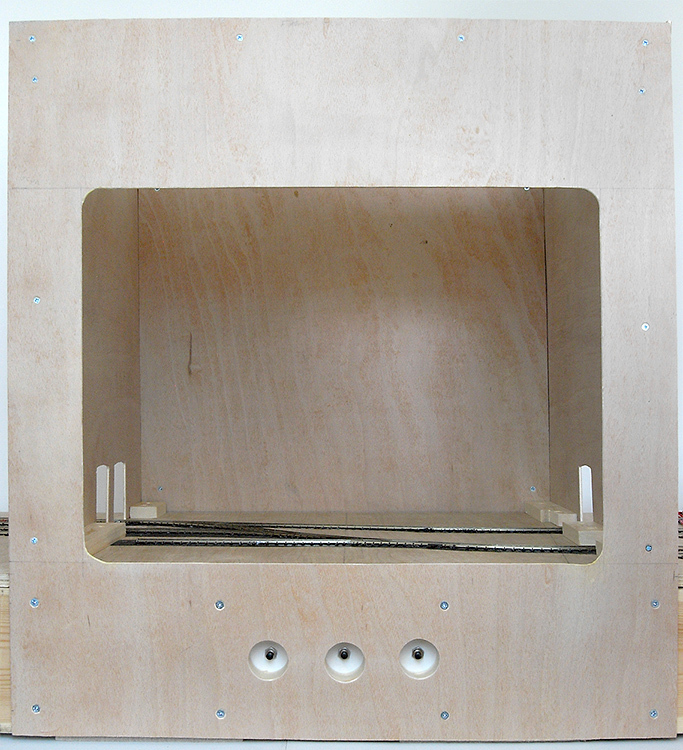 The boards are 3mm ply wood with softwood supports. 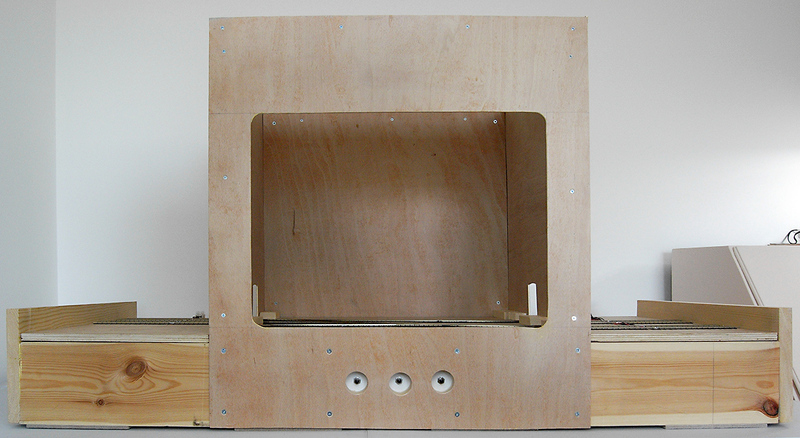 The front panel was designed to frame the scenic part of the layout. 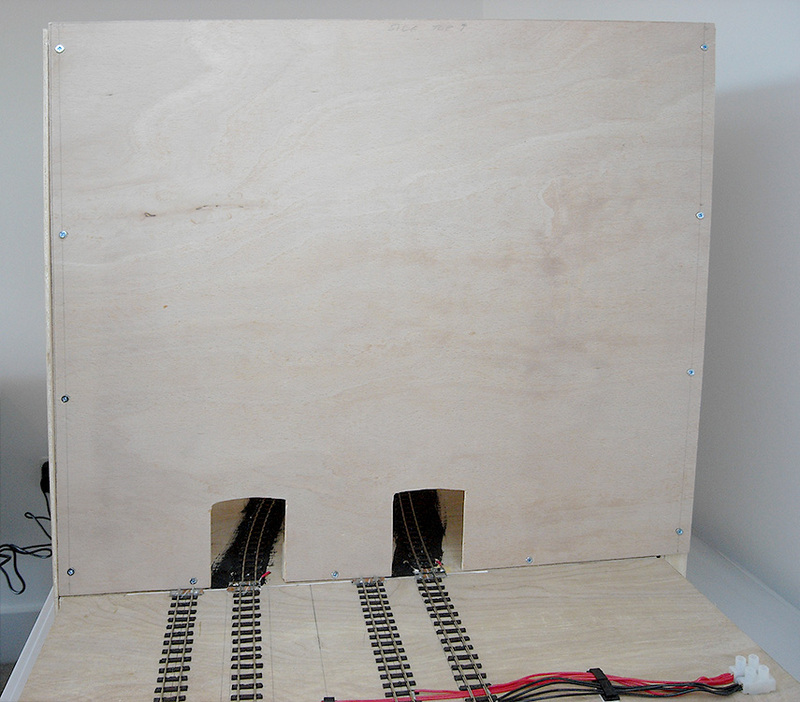 The side panels have small openings to allow the rolling stock to leave the central section and enter the traversers. My idea is that the operator can sit in front of the layout and have a good view of the scenic section while they are operating. Looking at it now I’ve realised the design is very unsual for a model railway layout. But it’s what I had in my mind, so I will press on and see if the idea works in practise!